One of the groups vying to build an arena in Las Vegas now has a website with details of their plans. 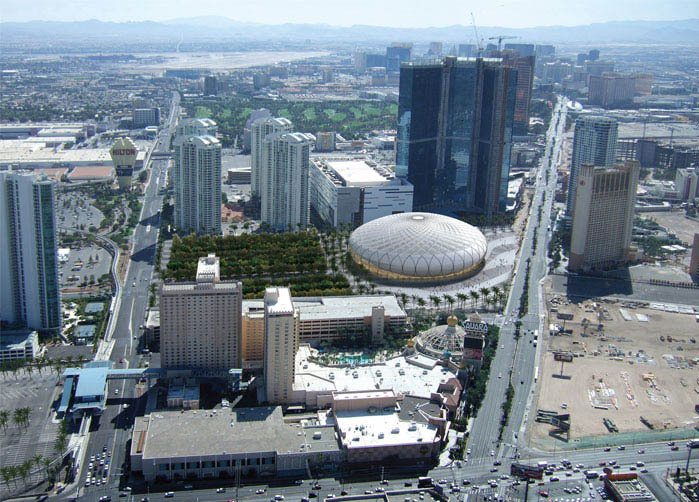 The Silver State Arena is proposed to be built on the North Strip between Sahara and the once named Fontainebleau on the former Wet N Wild water park site. The website looks very professional, and the renderings look pretty good. 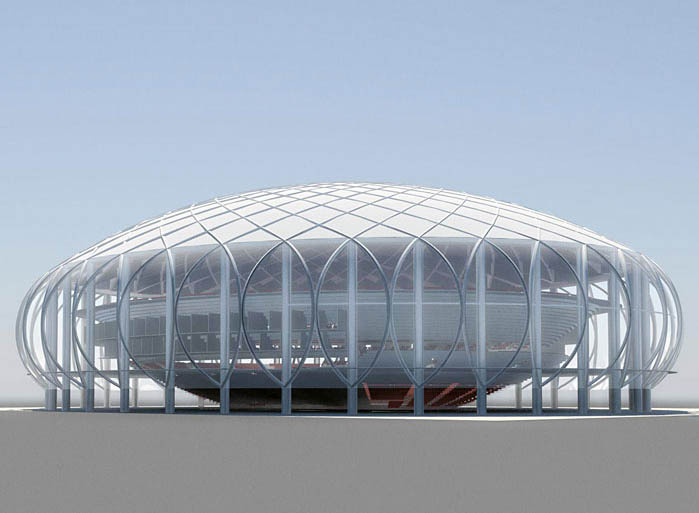 The drawings remind me of something out of the 70's like the Kingdome, but it also looks futuristic in a way with the glass siding. The location would definitely welcome any development, but I wonder if an arena would be the best use of that land. If developed this area would generate a ton of foot traffic that would be wasted on an arena that is only in use a few hours a week. I think if I were planning this I would try to incorporate a strip front casino with the arena behind it. We will have to wait and see if this, or any of the proposed arenas get past the design stage. It seems unlikely with the economic conditions in Vegas. Check out Silver State Arena for more renderings and information about the proposed arena.